You don't have to take my over-tired-from-hiking-all-day's impressions for it. If your skies are clear this week as the moon is finally puffing towards full, go outside and see for yourself. Go out on Saturday, two days before the full moon, and look around. Check out the barely visible shadows. See what fuzzy shapes you can make out in the distance. Look up and notice that the moon is definitely not fully illuminated, but it is getting close. Go out Sunday. To really do the job right you should go out an hour later than you did the night before, since the moon will have risen an hour later. Look around. You probably won't be able to tell any difference at all from the night before. Same vague shadows, same fuzzy details. And then look at the moon. Definitely bigger, but one edge is still a little flattened. Tomorrow it will indeed be full. Finally, go out on Monday, an hour later still if you can. Stare right at the moon, if your eyes can stand it. It does look like a spotlight up there in the sky. It is much brighter than it was just the day before. Look at the now-crisp shadows on the ground and the sharp details on the rocks and the plants that you can now pick out. Now go ahead, if you need to, and let out a little bit of a yelp. I'll be understanding. The winter rains have returned full force to southern California after a two year absence, and the fact that they have come during the new moon is making me unpleasant company. It’s not that I have any later were-wolf-like tendencies that cause moon-related outburst, nor that I believe in any supernatural connection between the rain and the moon, it’s just that the new moon is prime astronomical observing time and January is – or could be – a prime astronomical observing month. And the rain is stealing it away. We’re still looking for planets, like we have been for a while, but this time things are a little different. We can see the final end of our searching in sight, and, this time, the final end will come not because we have finished looking everywhere in the sky, but because the camera that we have been using for the past 7 years is finally being retired in October. This impending retirement suddenly puts a new urgency in our searching, for any patch of the sky that we miss due to rain, clouds, fires, broken equipment, or anything else will remaining unsearched, potentially for years to come. And we have had them, the clouds and rain (to say nothing of fires). Fabulous clouds and rain, even. In one weekend we got more rain than the total amount of rain my two and half year old daughter can remember over her entire life. She and I put on rain boots and walked down to the canyon below us, a place where we had been many times previously in her life, long ago with her asleep in a backpack, and, more recently lately, with her walking along beside until she tires. Last week, not knowing what was coming, I told her “Look there at those rocks! Sometimes when it rains a lot the water comes and covers them up and makes a river here!” So, during a brief lull in the rain, we went back down to the canyon to see, and the water was everywhere. You could have almost gotten by with a little kayak in the middle of the creek that was a dusty wash days earlier. “Daddy, water!” she said. “There’s water in everyone’s garden!” (She calls any park “everyone’s garden” which seems like an appropriate name to me). We found a shallow slow moving side stream and jumped and splashed and reveled in the water from the sky. My point here is that I like the rain. Really I do. But, please, can’t we keep it confined to when there is a full moon? Every month there is about a week-long period centered on the full moon when looking for planets is simply not useful. Just like we need to avoid the bright lights from the city, which wash out the stars at night, we also need to avoid the bright light of the full. But, unlike the city lights, there is nowhere we can go to escape the light of the moon, so we have no choice but to close up for a week and wait for our search-light-bright nemesis to pass. And then, for that week when the moon is full and the telescope is closed, then I really pray for the rain to come. Buckets of rain. Thunder and lightning. Frogs from the sky. Anything that nature can throw at us. During the week when I know the moon is full I look at the sky every night and revel in the clouds and precipitation and wish for more more more. My daughter and I giggle at the sound of the rain pounding the roof and marvel at the new drainage system we just finished installing which prevents the backyard from becoming a shallow inadvertent swimming pool. Give us more! Nothing is more fun than rain. Nothing is more fun that rain, except when the moon is new. Then we have planets to find, and every cloud in the sky or forecast of showers several days off, or hint of a moist breeze blowing from the Pacific feels like theft. Part of the sky is being taken away, and I’ll never have the chance to look there again. It’s a strange theft; you don’t know for sure what, if anything you’re missing, much as if someone stole packages from under your Christmas tree that may or may not have had anything in them. In some ways, that theft is even harder to take, because the possibilities of what might be gone are almost limitless. I’m not very fun to be around when it is raining and the moon is new. I would recommend avoiding me altogether. Or, if you must confront me, pointing out how nice the forecast looks in a few days. Or barring those, ask how my daughter is enjoying the rain. My scowl might break a little. But, really? Total avoidance is probably for the best. Tonight, at least, the skies are looking clear. The last thing I’ll do before going to sleep is the same as the first thing I’ll do when I wake up tomorrow morning. I’ll walk out into my backyard just before sunrise and scan from horizon to horizon looking at the most prominent of the stars still peeking out of the brightening sky. I’ll scowl at any clouds that I see, and I’ll try to decide if perhaps they are just very local or short very lived or otherwise unproblematic. Or, more likely these days, I’ll step outside in the morning and see the whole sky covered in clouds, or I’ll feel raining coming down, or a thick morning haze will fill the entire LA basin. Then, as the gloomy sun begins to rise I’ll look right at the spot in the sky where we should have been searching for planets last night, and I’ll wonder what might have been in that now-stolen package and how many years will pass until finally someone gets to open it under their own tree. Last week, when writing about potential discoveries in 2008, I admitted to having some specific ideas, some vague hopes, and that some might just happen. I wrote about some of my specific ideas for the year. Here I’ll talk about the other two – and the much more common – types of discoveries. The “vague hope” types of discovery are very different from the “specific idea”, or, to be more specific, the make-a-hypothesis-and-test-it types of discoveries favored in explanations of the scientific method in 8th grade classes. 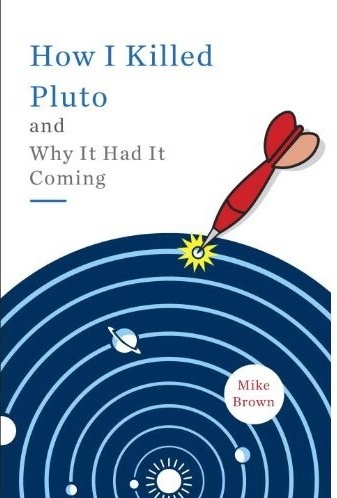 The best example from my own past that I can give us this type of vague hope was the discovery of Eris itself (the Kuiper belt object larger than Pluto that caused the uproar over Pluto’s status and finally forced the demotion of Pluto to a dwarf planet. You can read much more about Eris on my detailed site). When I started scanning the skies almost a decade ago looking for large objects in the outer solar system, I certainly didn’t know what specifically was going to be out there, but I knew that there was a not bad chance that we would find something bigger than Pluto eventually (though I will admit that at one point midway through the decade I contemplated declaring the search over, thinking we had found all there was to find of interest. One of my students eventually talked me out of it). On January 5th 2005 (3 years ago today, even though it feels like a much longer time ago to me), I finally spotted the object that we first called Xena -- then temporarily became named 2003 UB313 and finally became Eris -- moving very slowly past the stars on my computer screen. It’s not that we had had a hypothesis to prove, just a realization that if you search more of the sky than anyone else has since the invention of the computer and digital cameras, you will certainly find things that no one has before. Will the thing you find be bigger than Pluto? Maybe yes, maybe no, but, as long as you are hoping, you might as well hope in the direction of bigger. Now to 2008. The survey of the skies that led to the discovery of Eris and the other dwarf planets ended more than a year ago when we finally had scanned almost all of the skies that can be seen from our telescope at Palomar Observatory. But after spending most of a decade searching the skies for newer and larger bodies, it was hard to actually quit. What to do? Start over again. But this time I am doing it with the knowledge gained from doing it the first time, so this time we are doing everything – I hope – right. In practice, the most important thing that this means is that we are extending the survey to find extremely distant objects that we would have missed the first time around. Why? Vague hope. Or perhaps it is better called “directed hope.” From our discovery of Sedna, which spends most of its time far far away from the sun, we realized that there might well be many many objects out at those distances, and that some of them could be quite large indeed. By “large” here, I am talking about something perhaps even the size of Mercury or of Mars (hope. remember: the key here is hope). I certainly don’ t have a specific scientific hypothesis supported by equations and calculations that some such object is out there, just a realization that it plausibly could be and that no one has ever done a thorough search. So that could be one very exciting answer for discoveries of 2008: a Mars-sized body orbiting at perhaps twice the distance of Eris. Amusingly, by the current IAU definition, such an object would still be called a dwarf planet, though it would be a dwarf bigger than some real planets. If we really did discover such a thing it would probably re-light the planet definition fire, and we would all get to watch astronomers begin arguing once again. To be honest, I have to admit that I think finding such a beast is a bit of a long shot. The main reason is that even though I am pretty convinced that such large dwarf planets are out there floating in the same region occupied by Sedna, they are likely to be too far away for our modest telescope at Palomar Observatory to see. Really, we would have to get pretty luck. But again: directed hope. It just might be there, and we won’t know until we look. Finally, some discoveries are the type that I said just happen, though, really, that is not quite the right phrase. No discover ever just happens, I don’t think, but, sometimes, while you’re looking for something else, or examining something just because you’re curious, or trying hard to understand one little detail of something that just doesn’t make sense to you, something will pop out that you had no idea was coming. The discovery of Sedna was like this. We were scanning the skies hoping that we might find something bigger than Pluto, knowing that we were bound to find many things than no one had ever seen before, but we never anticipated anything like Sedna. When I first saw Sedna I wasn’t even convinced it was real. It was so faint that I thought it might just be a recurring smudge on the pictures I was looking at. The first email I sent out to Chad Trujillo and David Rabinowitz, the two guys with whom I was working, said “Not that I think it’s actually real, but the thing I might have just found is really really far away and really really big.” It was true, which is why we are now looking for things even bigger and further away. Sedna orbits in a region of space that astronomers expected to be essentially empty, so it really had never occurred to me that when we began hunting in the skies something like Sedna might show up in our snares. Sedna is smaller than Eris by perhaps 20-30% and thus smaller than Pluto, so it didn’t get nearly as much press coverage as the Eris discovery, but, of the two, Sedna is by far the much more interesting scientific discovery. Eris’s main importance is less in the scientific knowledge that something bigger than Pluto exists but much more in the cultural importance in that it was the discovery that finally drove home the fact that Pluto is not a unique oddball at the edge of the solar system but simply one of the largest members of a much more extensive population. But Sedna tells us something we never knew before. What? It is still not clear; we’re working hard to understand all that Sedna says, but by the time we are done I hope that Sedna is the beginning of an intricate story of the birth of sun in a crowded cluster of stars which eventually caused Sedna to be peeled out of the inner solar system to become part of this new still unnamed region beyond the Kuiper belt. Stay tuned. There are other possibilities for what it might mean. But whatever it turns out to mean will be something we never even considered when we first started looking across the sky. What might we discover unexpectedly in 2008? There is no way I can tell, of course, but I can at least give some areas of possibility, because all of these accidental discoveries come about with a lot of hard work to make the accidents possible. If I had to place bets on what project is most likely to lead to something like this, I would have to again say the new sky survey. Anytime you are looking over vast areas of sky in ways that no one ever has before your chances of having a good accident are high. But that is not the only project my group and I are working on these days – we’re thinking about storms on Titan, giant collisions and icy atmospheres in the outer solar system and more – so one of the other projects may sneak in as a long-shot. Or something new may come along unexpectedly. Happy third anniversary of the discovery of Eris, and hope for discoveries – expected, hoped for, and accidental in 2008.